In an article last month, we explored some of the ways MakerBot is trying to widen the availability for 3D printing. They are at it again, this time to moving 3D printing into a retail setting. 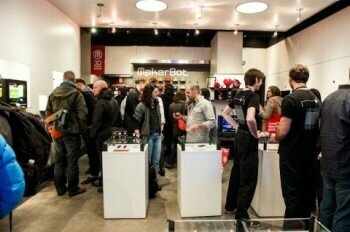 The company has announced it is launching three MakerBot Retail Stores in the northeast, with stores in Boston, Greenwich, and New York. These stores opened this week and are already taking orders. You simply walk into the store with a USB drive containing the 3D print that you want and order it like copies at a Staples. The file should be either a .stl or .obj file in order to be printed. You will then get an estimate on how long it will take to for your print to be completed. They even offer to notify customers when their 3D item is ready to be picked up. 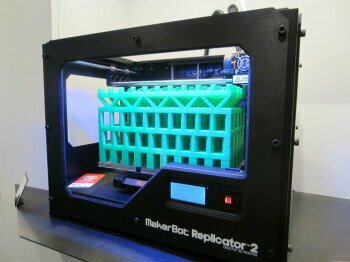 All of the retail stores will be using the MakerBot Replicator 2 3D printer, a desktop model that uses a PLA Filament. All of the prints are single tone and MakerBot has said they offer prints in white, black, warm grey, natural (think tan), and translucent red. The pricing for a print is determined by how long it takes to print the item. The more complex and longer an item takes to print, the more it will cost. The current price list is $10 for 30 Minutes, $20 for an hour, $65 for 4 hours, $80 for 5 hours, and $100 for six hours. While they do say they are able to do complex prints that require more than six hours, those jobs will be estimated as they come in.